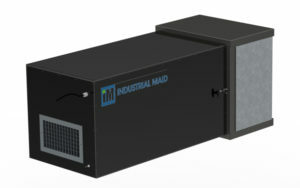 Great for fume extraction, welding smoke collection, industrial dust extraction, oil mist filtration and the capture of most airborne nuisance dusts, mist and vapors. Rated from 2,000 to 7,500 CFM. 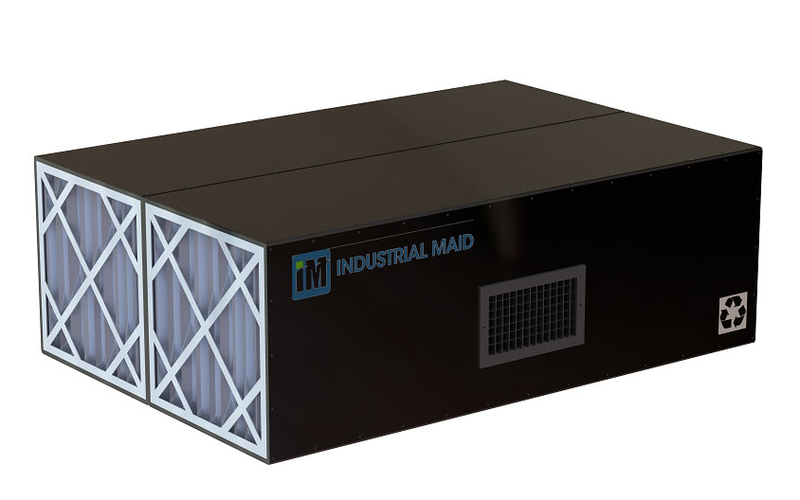 With the Industrial Ambient Air Cleaner AZTech T-Series, you never have to exhaust expensive heated or cooled air outside in an attempt to provide clean air for your workers. AZTech Ambient Air Cleaner industrial air filtration and ventilation solutions pull contaminated air from the work area through a set of highly efficient air filters that separate out harmful particles. The filtered air is then re-circulated back into the room. Standard size filters and lower horsepower ratings are additional money saving features. 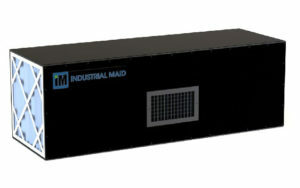 Learn more about how the AZTech T-Series Industrial Air Cleaners help with fume extraction, welding smoke collection, industrial dust extraction, oil mist filtration and the capture of most airborne nuisance dusts, mist and vapors. 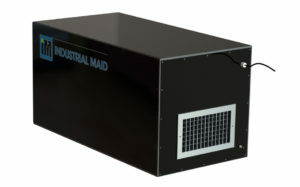 Or reference our article on How to Choose an Industrial Air Cleaner System for your shop. 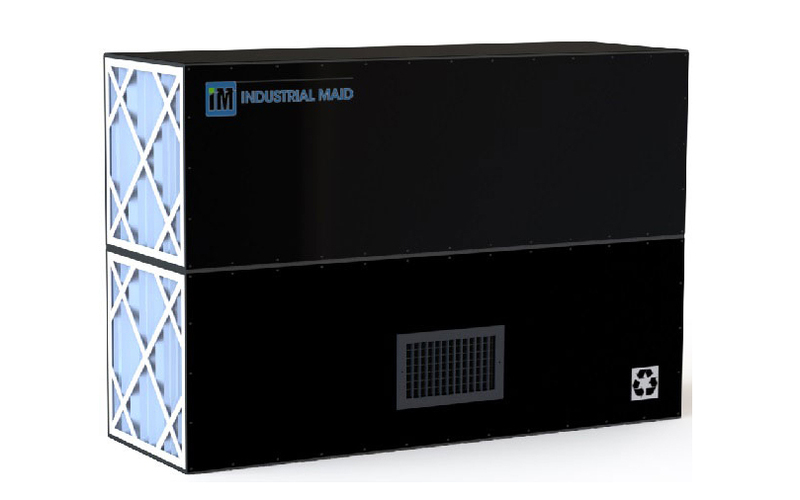 Additional industrial air purifier options include filter saver pads, spark baffles and a variety of other filter media designed to match the size of dust particles or help better control wet oily smoke and oil mist. 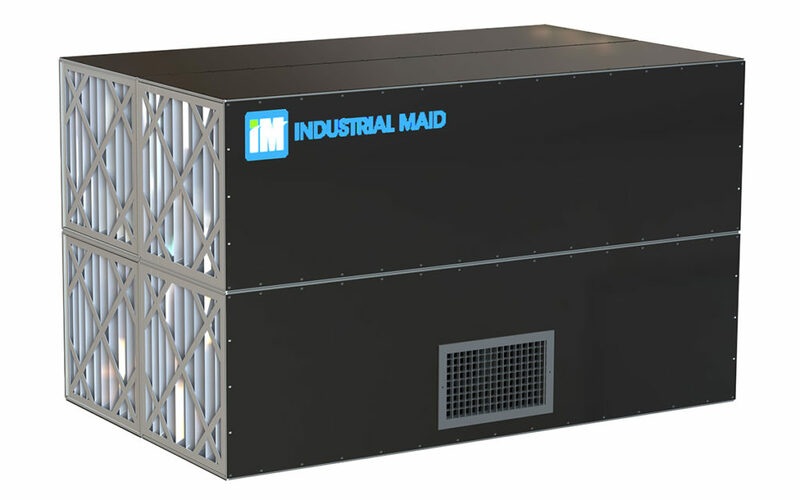 Industrial Maid designed the T Series in a modular configuration, allowing for air purifier units to be built in a number of vertical, horizontal or even quad configurations to fit your specific application and budget. 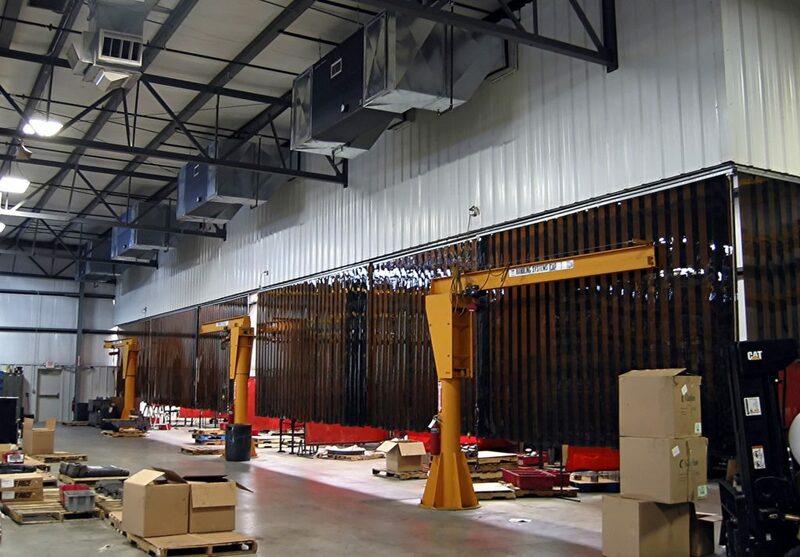 T-Series ambient air filtration systems are designed to accommodate a variety of installation methods making them the easiest industrial air purifier to fit to your specific application. 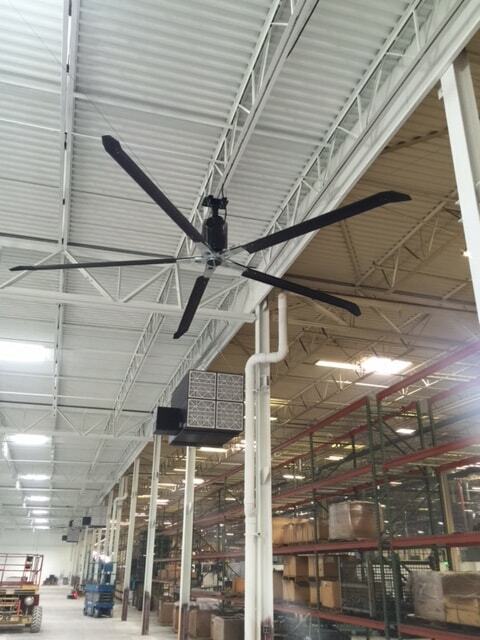 They can be hung with chains, mounted with all-thread rods, or installed using optional wall brackets. Some of the most popular applications for the self-contained AZTech units are welding fume ventilation, grinding dust, diesel smoke, oil mist, granite dust and composite dust. 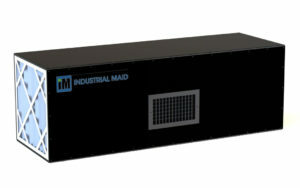 Optional HEPA and charcoal filters are available for more demanding industrial ventilation system applications. 21,600/3500 = 6.17 or 6 units to handle the application. 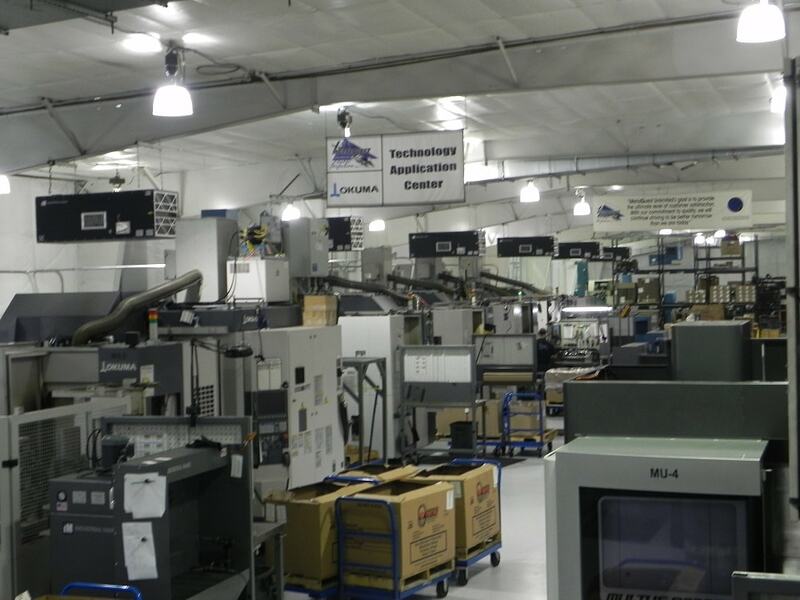 Our experience and commitment to commercial & industrial air purification has brought us to where we are today – manufacturing complete air filtration systems & industrial ventilation products that provide the best performance, efficiency and capacity for the money. Our experience in the industry has led to the development of the complete line of AzTech commercial air purifiers, industrial air cleaners (ambient as well as ducted), filter walls, robotic hoods, mist collectors, environmental booths and portable welding fume extractors.